A Closer Look Inspection Services has been performing structural and mechanical inspections of commercial and residential property for 30 years. Infrared technology has developed into a great diagnostic tool for determining adverse condition that are not visible to the naked eye. Our Energy Auditors and Inspectors are ITC Certified Level I Thermographers. A Closer Look Inspection Service is also part of the United Infrared Network. 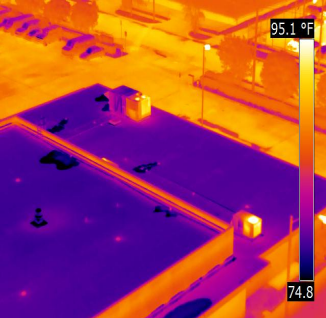 We provide Dallas Roof Infrared Surveys and Dallas Dallas Infrared Scans using state-of-the-art high resolution infrared camera technology to provide you with superior imaging quality and to accurately evaluate your wet roof areas.